Summary / KeywordsNearly thirty years after the publication of its second volume, ISSUE magazine re-launched in April 2013 at UNIT/PITT Projects in Vancouver. It is a self-described magazine of “mostly local culture", managed by contributing editor B. McNab, and printed & bound by Publication Studio Vancouver. 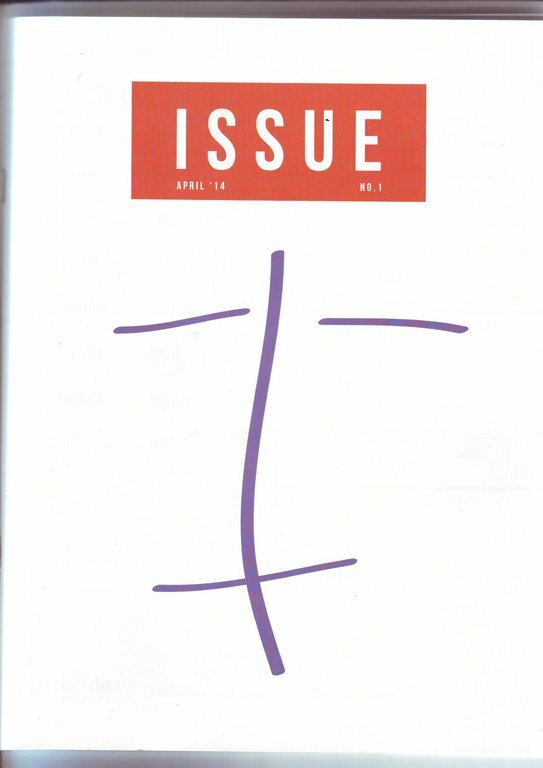 The first ISSUE contains an interview with INDEX Gallery founders, P. Campbell, L. Dakin, and C. Pelech (B. McNab); a review of Collective Walks/Spaces of Contestation (U/P Projects) by C. Stewart; essays by K. Higgins, S. Ling, B. McNab, A. Mardon; an interview with A. Stursberg (D. Howell); art by N. Bagshaw, J. Shipper, M. Boyd, E. Zepka; and a three short reviews. NotesColour covers with 36 b/w interior pages. Centre spread contains a list of Vancouver galleries by numerological consultant A. Roy.